Whether the president was directly involved in a conspiracy with the Russian government to interfere with the 2016 election remains the subject of special counsel Robert Mueller's investigation. But we do not need to wait on the outcome of that criminal investigation before moving forward now with an inquiry in the House of Representatives on whether the president has committed impeachable "high crimes and misdemeanors" against the state: abuse of power and abuse of the public trust. Each passing day brings new damage to the countless people hurt by this lawless president's actions. We cannot undo the trauma that he is causing to our people, and this nation. Those most vulnerable to his administration's cruelty are counting on us to act - act to remove the president and put this country on a path to true justice. The Framers distinguished the impeachment power from the power of a criminal prosecution. While Congress has the impeachment power to prevent future harm to our government, prosecutors have the power to seek punishment for those who commit crimes. But it is not Mueller's role to determine whether the president has committed impeachable offenses. That is the responsibility of Congress. Those who say we must wait for Mueller to complete his criminal investigation before Congress can start any impeachment proceedings ignore this crucial distinction. There is no requirement whatsoever that a president be charged with or be convicted of a crime before Congress can impeach him. They also ignore the fact that many of the impeachable offenses committed by this president are beyond the scope of the special counsel's investigation. We are also now hearing the dangerous claim that initiating impeachment proceedings against this president is politically unwise and that, instead, the focus should now shift to holding the president accountable via the 2020 election. Such a claim places partisan gamesmanship over our country and our most vulnerable at this perilous moment in our nation's history. Members of Congress have a sworn duty to preserve our Constitution. Leaving a lawless president in office for political points would be abandoning that duty. 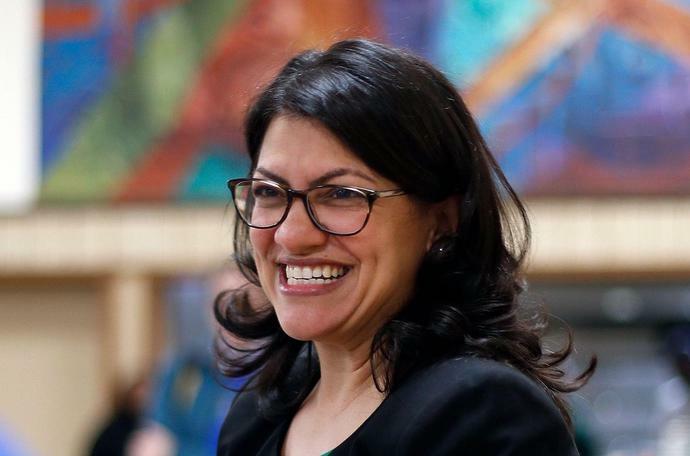 Rashida Tlaib is the U.S. Representative for Michigan's 13th Congressional District. John Bonifaz is the co-founder and president of Free Speech For People (FSFP) and co-author of "The Constitution Demands It: The Case for the Impeachment of Donald Trump." This column first appeared in the Detroit Free Press. You can follow them on Twitter: @RashidaTlaib and @JohnBonifaz.